Equity transactions on Nigerian Stock Exchange (NSE) resumed for the week on negative note on Monday with the market indices dropping by 1.25 per cent. The market capitalisation shed N156 billion or 1.25 per cent to close lower at N12.270 trillion against N12.426 trillion posted on Friday. Also, the All-Share Index, which opened at 34,037.91 on Monday, lost 426.22 points or 1.25 per cent to close lower at 33,611.69 amid price losses. Nestle led the price losers’ table with a loss N145 to close at N1,355 per share. Forte Oil trailed with less of N1.95 to close at N19.05, while GSPEC dropped 60k to close at N5.75 per share. GTBank declined by 50k to close at N34.50, while Zenith Bank lost 40k to close at N20.50 per share. Conversely, FlourMill led the price gainers’ table, gaining 50k to close at N22 per share. Custodian came second with 10k to close at N50.50, while Honeyflour and UPL appreciated by 8k each to close at N1.52 and N2 per share, respectively. NPFMCRFBK also lost 5k to close at N1.65 per share. The volume of shares traded dropped by 11.75 per cent as 137.63 million shares worth N1.36 billion were traded by investors in 3,104 deals. This was in contrast to the 155.95 million shares worth N2.10 billion exchanged in 2,715 deals on Friday. UBA emerged the investors’ delight, exchanging 16.66 million shares valued at N122 million. FBNH traded 6.640 million shares valued at N234.67 million, while Zenith Bank followed with 6.639 million shares worth N897.18 million. 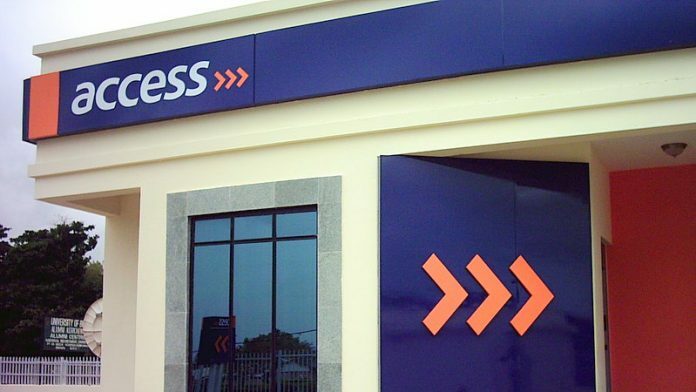 Access Bank sold 6.56 million shares valued at N129.11 milłion, while Transcorp trailed with 2.95 million shares worth N98.71 million.